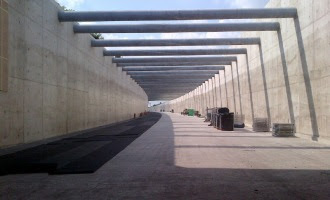 Metrolinx will soon start 24-hour, 7-day-a-week construction on the Weston tunnel to “install tracks between the Weston GO Station at Lawrence Ave. W. and the Weston Road Bridge.” The construction will last until late November. The announcement of the new construction schedule seems to have been done on the down-low, with no notification given to residents and no mention made at the most recent community meeting, according to Mike Sullivan. I didn’t receive any notice of it either, and I receive many emails from them about construction. The new plans were revealed in the middle of a long email to all Torontonians, and YHC, for one, totally missed it. Sullivan said in an open letter to Bruce McCuaig, the CEO of Metrolinx, that the construction schedule is “totally unacceptable”. Local residents, who have endured so much for so long, will now be dealing with construction noise 24/7 for at least 90 days. Surely you and your project management team can come up with reasonable alternatives. I did read it in that long self-congratulatory email and the effects on the neighbourhood are indefensible.